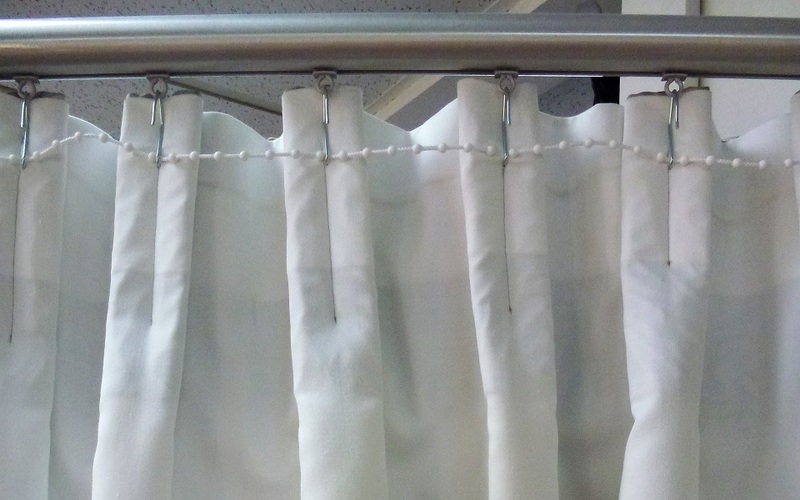 All WDI drapes are manufactured in their own purpose built workrooms by the skilled Window Design Interiors team. WDI production specifications are second to none so manufacture to the very highest quality, as a matter of course. All side hems are blind hemmed with no use of unsightly plastic tags. There is a lot of hand sewing included, to provide the perfect finish. 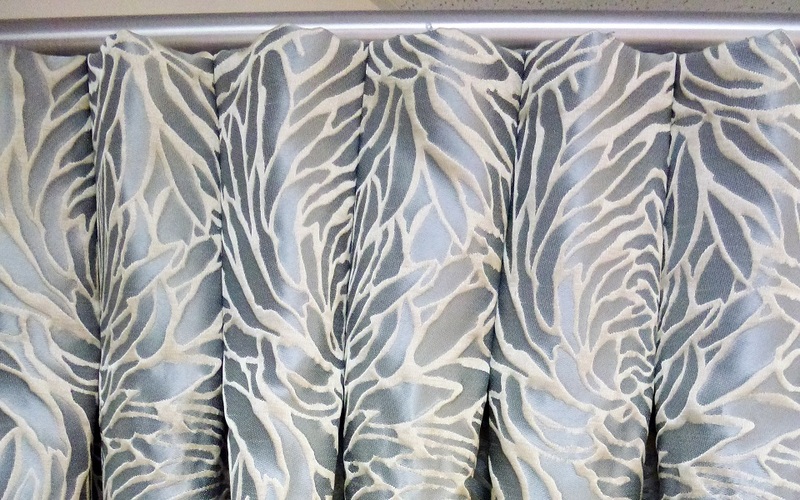 The headings are all pleated by hand, which means “pleat to stripe or pattern” is standard, rather than the mass produced option of automated “random pleating”. 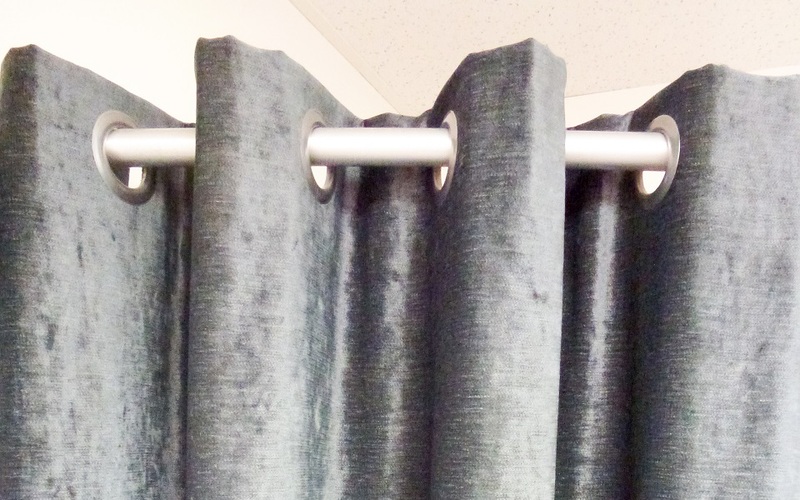 This is the difference between drapery manufactured in a commercial workroom, and drapery manufactured in a designer workroom with strict quality control standards! WDI offer FREE showroom and in-home Design Consultations with any one of their qualified Interior Design Consultants, and will conduct a FREE Measure and Quote Service in your home. Once the consultant has seen your home, style and current furnishings, she is in a strong position to help guide you through the fabric selection process. She can put a design scheme together to suit your décor and your budget. WDI offer an extensive range of fabric options as they represent all the leading fabric houses in New Zealand. WDI supply fabrics at below recommended retail pricing which means they can offer exceptional quality at very competitive pricing. 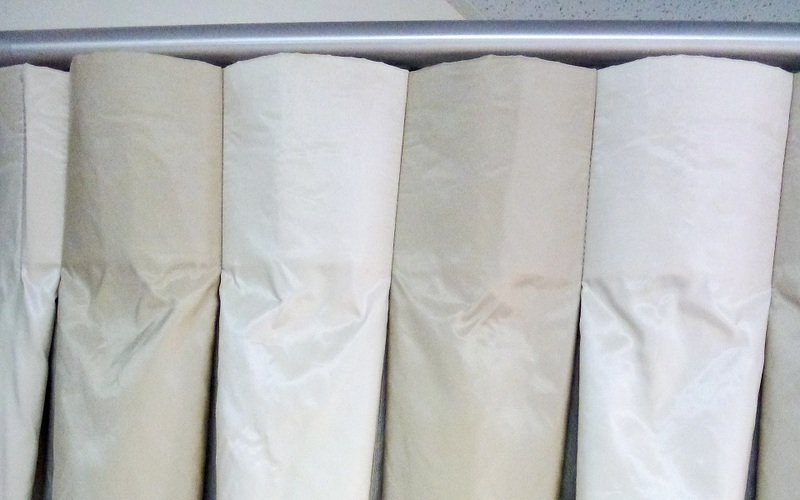 WDI stock a good selection of quality lining options and can recommend which is most suitable depending on client brief and fabric selection. Below are images and descriptions of the many heading styles available. These heading styles are also attractively displayed in the showroom. The Invert Pleat heading is contemporary but also classic and simplistic, and is the most popular choice with Designers. It uses less fabric than some other headings, so is good when stack back space is limited. The Invert Pleat is a reversed single pleat. It is a particularly good choice for striped fabrics as it lends well to a ‘pleat to stripe finish’ and compliments most fabric types. The Pinch Pleat heading is exactly the same as the Invert Pleat Heading but the back tuck is approximately half the size. 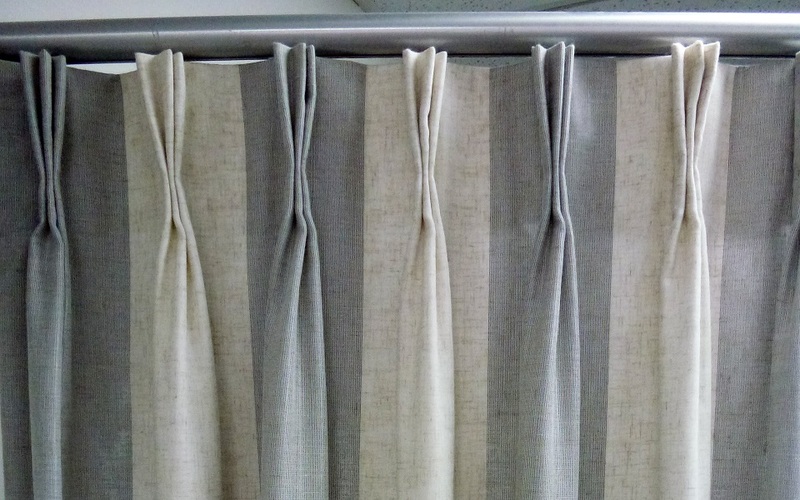 Therefore the fabric ‘fullness’ of the curtain is significantly reduced. 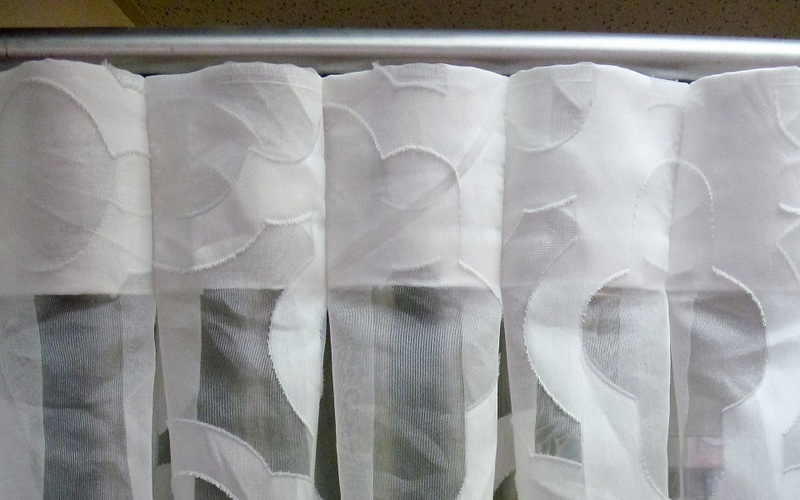 This heading is often used for unlined sheer curtains, when a soft light filtering effect is desired. Also a good option if stack back space is limited or budget constraints require reduced fabric quantities. WDI refer to this heading as the “Cheats Wave”. It is an Invert pleat with a white nylon chain attached to the back to stop the pleats from flattening out when the drape is drawn. Each pleat stays in a ‘scallop curve’ thanks to the limiting chain on the back. 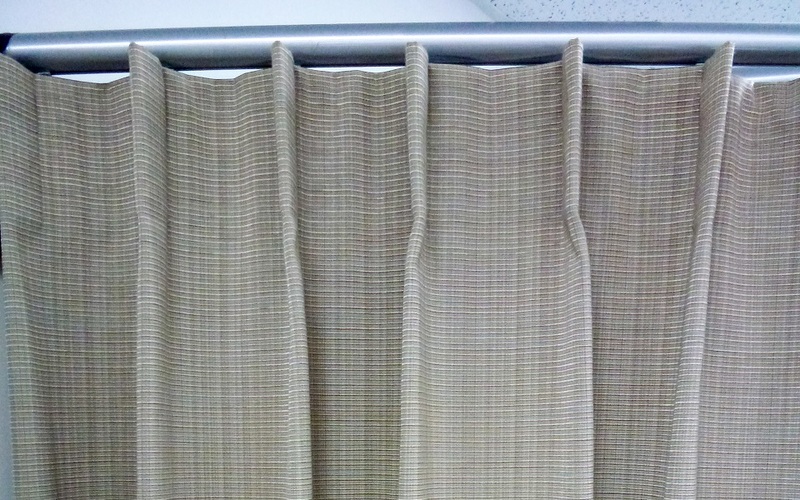 The Single Pleat has one pleat facing the front. It stacks back very neatly producing the smallest stack back possible. Perfect if stack back space is limited, and a minimalist effect is required. The Dutch Pleat has two pleats facing the front, also knows as a Twin Pleat. It is a more traditional pleat style to the previously described headings, perfect for a villa, bungalow or homes with traditional styling. This pleat style is sometimes referred to as the “poor man’s French pleat”, because it requires less fabric and is therefore less expensive! The Triple Pleat is the most traditional pleat style, and also the most expensive because it requires more fabric than the other pleat styles. It has three pleats facing the front. Thick heavy fabrics are not suitable for this heading style – specifically some velvets or dense damask type fabrics. The Pencil Pleat Heading has a tape stitched to the back which is gathered into ‘pencil type rows’ often compared to a ‘line of soldiers’. It is a causal heading, and done well has excellent merit as a gorgeous heading style. It suits some fabrics better than others, but to scrimp with fabric allowance changes a sophisticated heading to something similar to a ‘ready made’ in an instant. This heading tape is available in 40mm, 75mm, 100mm and 150mm. The size of the heading often depends on the finished length of the curtains. A very high stud with long curtains looks fantastic with the 150mm pencil pleat heading. 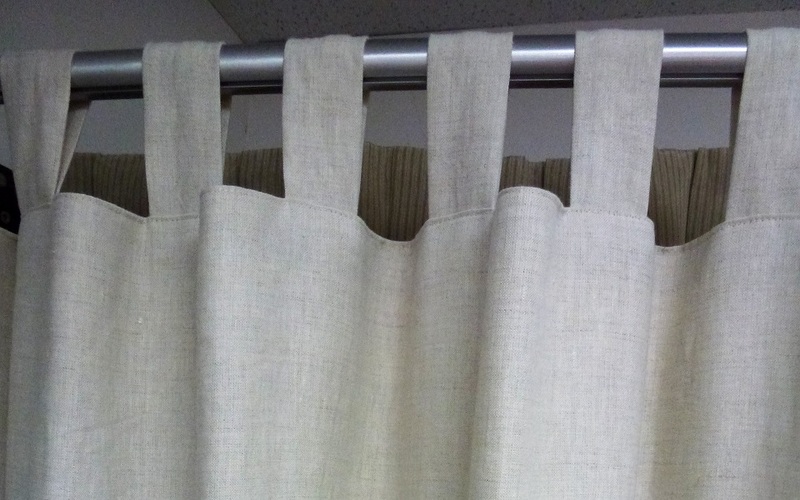 Sheers inside a window reveal or behind a pelmet are more suited to the 40mm pencil pleat heading. WDI consultants are trained to recommend the most suitable option. When hung from a recessed or ceiling mounted track, the wave heading gives the appearance of floating from the ceiling with a simple backwards and forwards wave effect. It stacks back beautifully and draws perfectly every time. Unfortunately it cannot be installed on existing glide tracks or rods. It requires a cording system within the construction of the track/rod to stop the ‘waves’ from flattening. An Eyelet Heading is a contemporary, somewhat industrial heading style that can only be used with rods (not tracks). The 40mm eyelets are colour matched to the rods. Eyelet rods have a silicon strip along the top surface to prevent the eyelets from scratching the rod surface. There are limitations to this heading style. 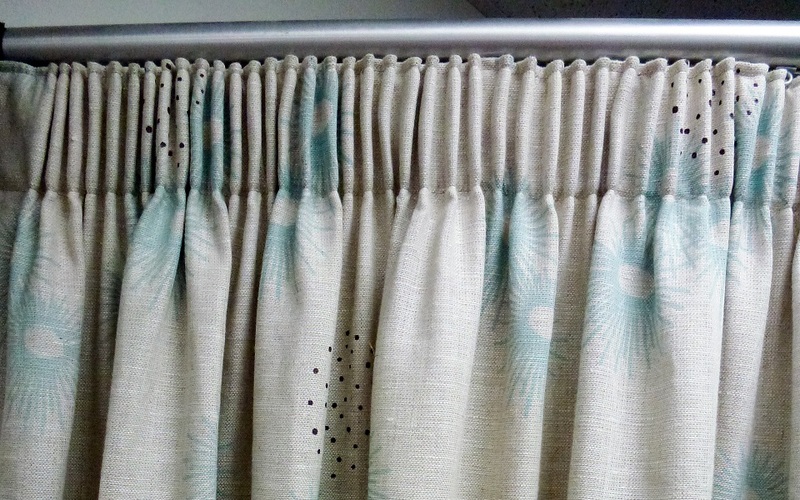 The eyelets cannot be drawn past the wall brackets, therefore to prevent the rod from bending under the weight of the curtains, the maximum rod length for a pair of eyelet curtains is 3.75m. 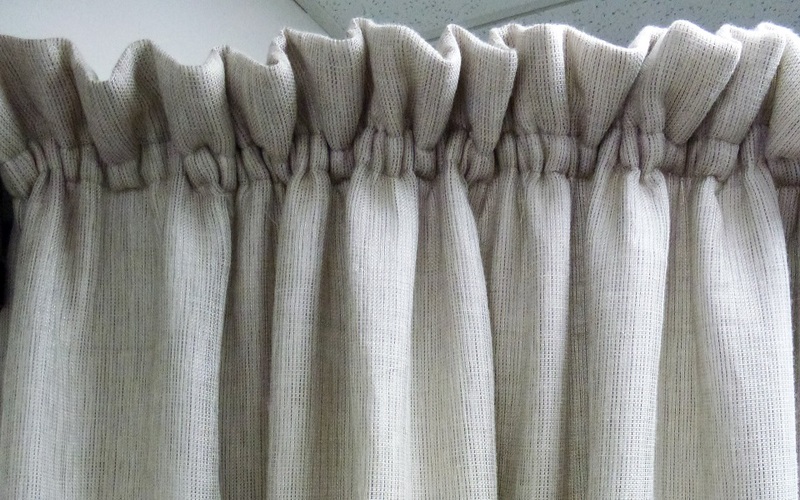 However, rods can be butted together if continuous eyelet drapes are desired. WDI consultants can advise on the possibilities in this regard. The Puff Top heading provides soft old fashioned styling in keeping with French Nostalgic. It works well with soft linen fabrics. This heading can only be used with a rod application. 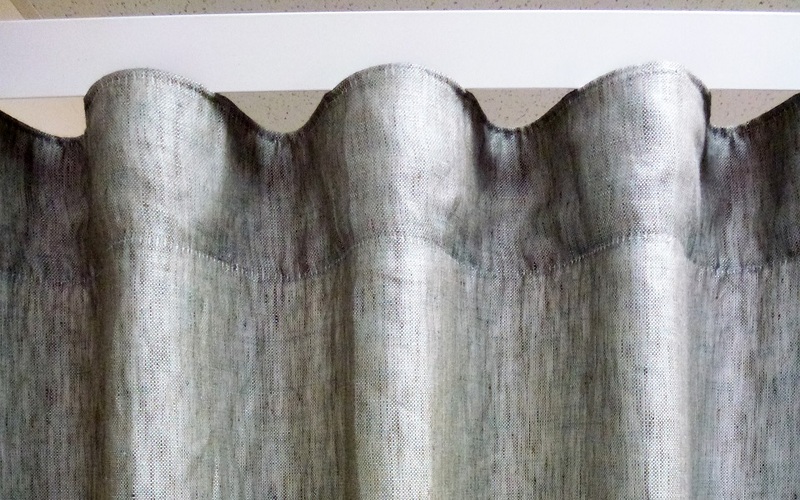 50mm wide loops are stitched to the header of the curtain, either in the curtain fabric or a contrast fabric. The loops slide over the rod, and cannot pass brackets. 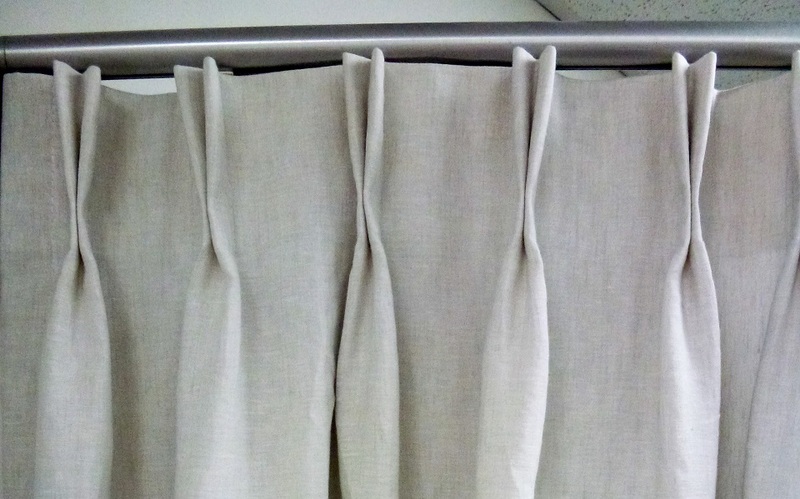 Therefore only three wall brackets can be used per pair of tab top curtains.